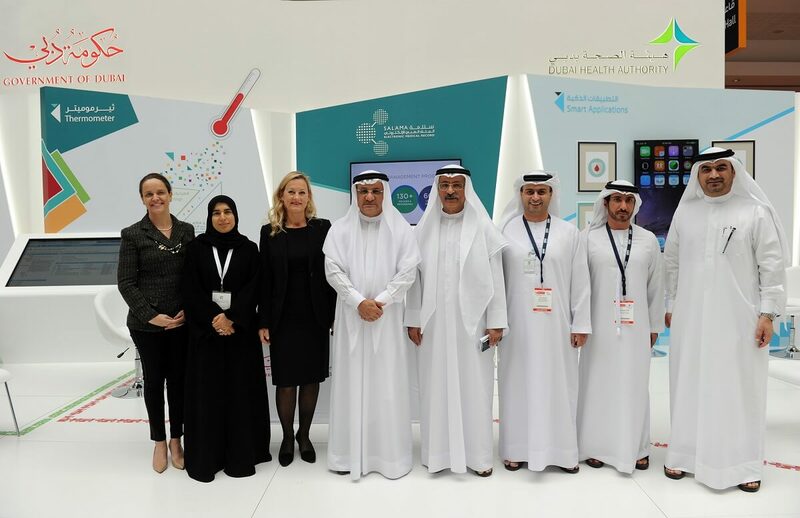 Dubai Health Authority (DHA) and Elsevier, a world-leading provider of scientific, technical and medical information products and services, have agreed to collaborate on the DHA’s strategic goals for developing a comprehensive and integrated health service system and improving the health sector operations and information systems. His Excellency Humaid Al Qatami, Chairman of the Board and Director General of the DHA, and Jacqueline Duvoisin, Regional Director for Clinical Solutions MEA Turkey, Iran & Central Asia, Elsevier, signed the memorandum of understanding (MoU). Commenting on the MoU, Al Qatami said DHA’s developmental drive depends on constantly updating its information and data-supporting systems to ensure that the best tools and information are available for decision-making. He added that utilizing the best technology and state of the art systems helps the authority achieve its healthcare goals that are in line with Dubai’s developmental drive, be it in its medical affairs, services technology or state-of-the-art equipment. The MoU’s objective is to enhance cooperation between both parties through various evidence-based projects to support DHA’s organizational transformation and innovation goals of the Dubai Health Strategy 2021. Key projects that DHA and Elsevier will embark on together include establishing Dubai as a center of scientific research and scientific publications in the medical and health fields based on the procedures and systems at DHA. Supporting the goal of innovation through Elsevier’s evidence-based content solutions: integrated decision support related to the unified Electronic Medical Record system; patient engagement systems aimed at raising patients’ awareness, safety and satisfaction; integrated clinical decision support through patient-specific pathways; and telemedicine and patient self-care advice and triage services. The MoU also aims to support DHA in conducting research, identifying risks and building internal competencies in research and quality, as well as building continuing medical education through various solutions. The Dubai Health Authority (DHA) was created, in June 2007, by Law 13 issued by His Highness Sheikh Mohammed bin Rashid Al Maktoum, Vice President and Prime Minister of the UAE, Ruler of Dubai, with an expanded vision to include strategic oversight for the complete health sector in Dubai and enhance private sector engagement. His Highness Sheikh Hamdan Bin Rashid Al Maktoum, Deputy Ruler of Dubai and UAE Minister of Finance is the President of the Dubai Health Authority and His Excellency Humaid Al Qatami is the Chairman of the Board and Director-General of the Dubai Health Authority.